Wow! It’s Wednesday already. I can’t believe how fast these weeks are flying by. Now to the outfit….another bright, cheery color for a happier, more sane Lizzie! 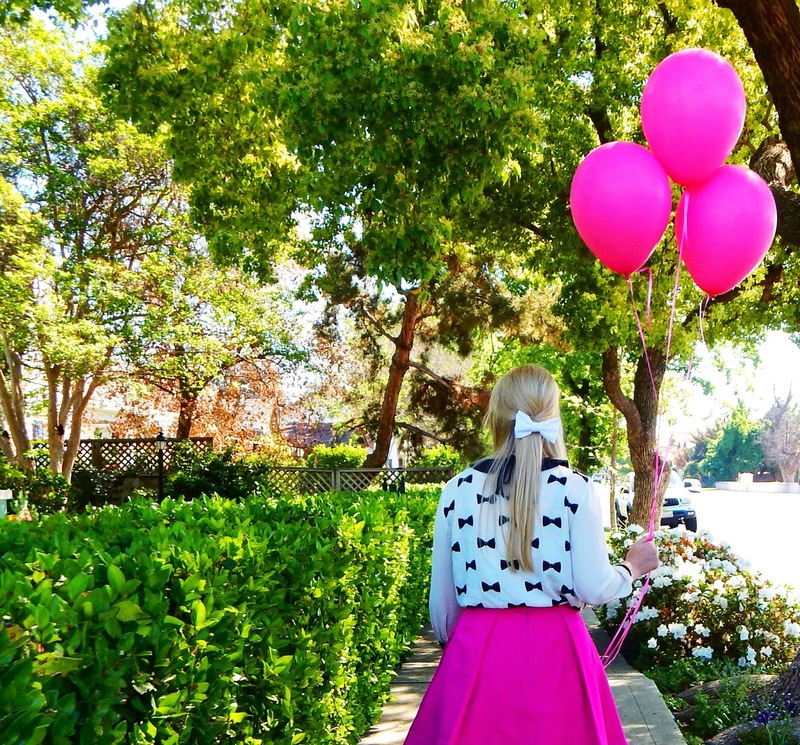 I love any form of pink so this skirt was a great pick! I wanted to tone down this outfit a bit so the skirt could stand out on it’s own. I paired it with a super cute black and white top with a peter pan collar and bows all over. Accessories were minimal: a black and white jeweled necklace, a gold bangle and dainty gold rings. I added a black structured bag and black bow wedges to tie into the outfit.